Be it enacted … that the helianthus or wild native sunflower is … designated … the state flower and floral emblem of the state of Kansas. This past weekend, I traveled to Marion to watch my daughter’s volleyball game. On the way, I could not help but notice sunflowers blooming. It was amazing to see the many different varieties and forms scattered throughout the prairies and ravines. I tried my best at 65 miles per hour to identify them. They were everywhere and in their full glory. 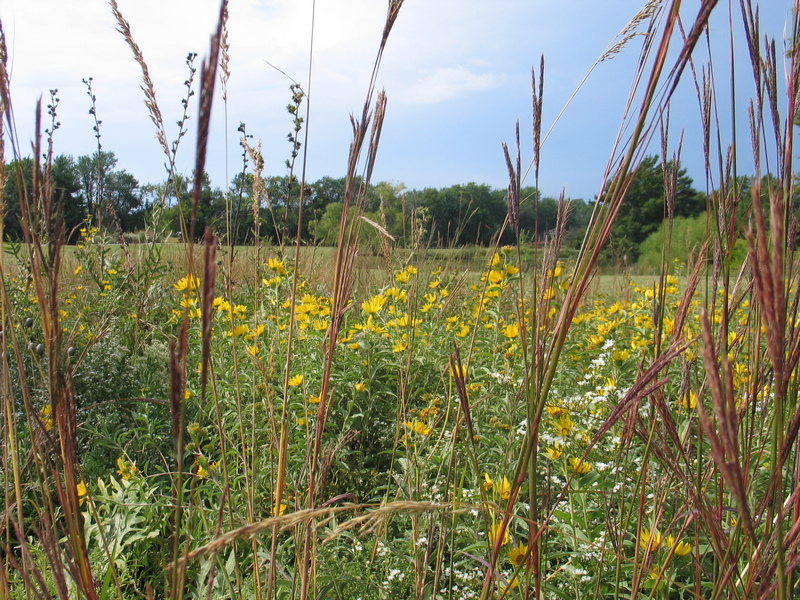 The yellow flowers stood out amongst the changing prairie grasses. They brighten up the prairie landscape and signal the changing seasons. If you are out and about in the coming weeks, here are some of the gorgeous sunflowers you will see. Willow-leaf Sunflower (Helianthus salicifolius) – This is one of the most common sunflowers and is easily identified because it has many long, narrow, drooping leaves swirled around the stem. The leaves are not more than a quarter inch wide and make a soft umbrella at the top of the stem as they grow. 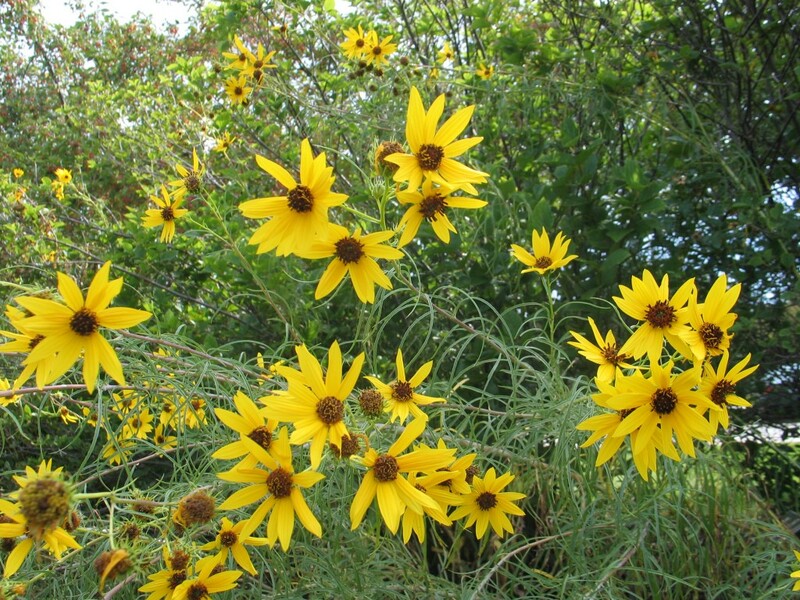 The bright yellow clusters of blooms are attractive, but the foliage is equally interesting. Maximillian Sunflower (Helianthus maximilianii) – This is a very showy sunflower with tall stems that rise above surrounding grasses. The blooms are vibrant and large. It is a beautiful sunflower, but beware. It is rhizomatous and spreads vigorously. I would not plant this sunflower in a formal landscape. I would plant it in a prairie or area of the yard that allows it to go wild. It will quickly take over any garden when it is happy. We have some along the pond where we can manage its spread with a mower. 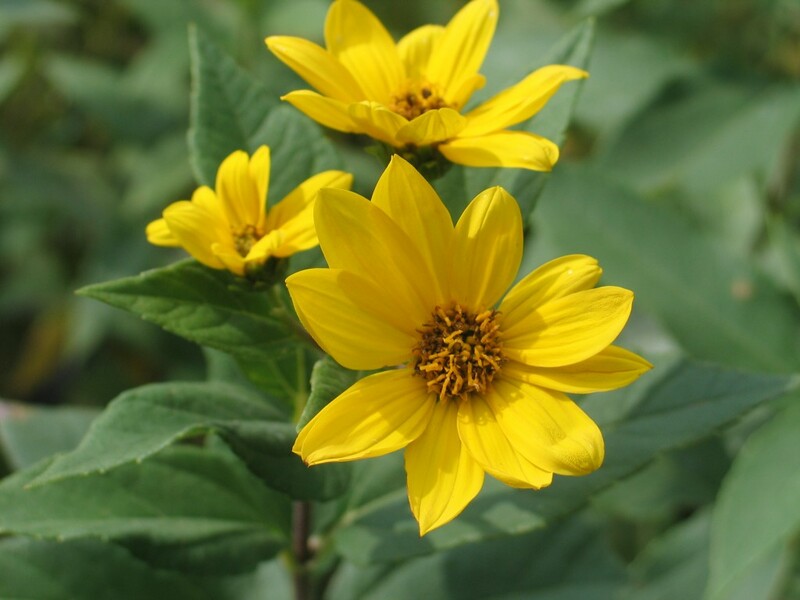 Jerusalem artichoke (Helianthus tuberosus) – You can find these sunflowers along woodlands and in moist prairies. It has larger leaves that are thick and rough. Stems are topped with large golden-yellow flower heads. I have never tasted the tuberous roots but those who have considered them a delicacy. The roots can be eaten raw or boiled like a potato. Other sunflowers worth noting: Sawtooth Sunflower (Helianthus grosseserratus) – Similar to Maximillian Sunflower; Ashy Sunflower (Helianthus mollis) – Shorter with gray foliage; and Common Sunflower (Helianthus annuus) – Tall with flowers at the ends of the branched stems. Because of your bright presence there. 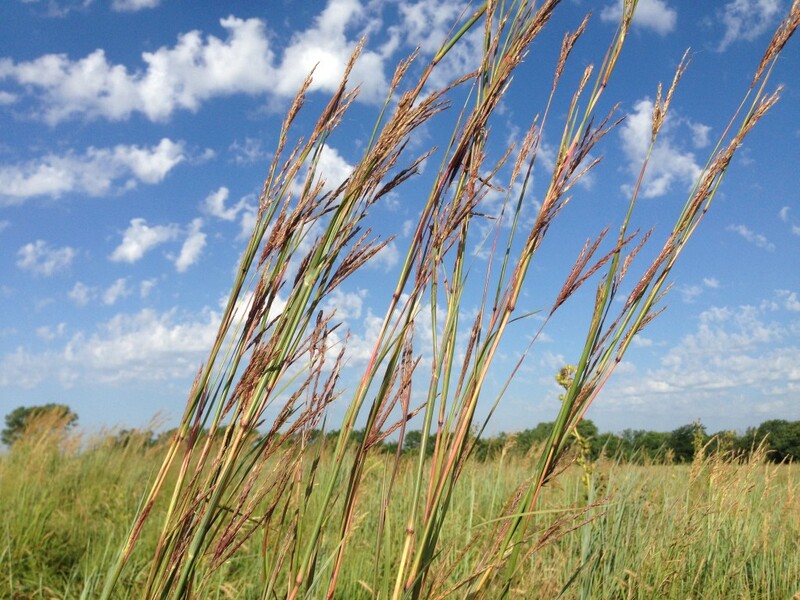 Our prairie is getting all grown up. 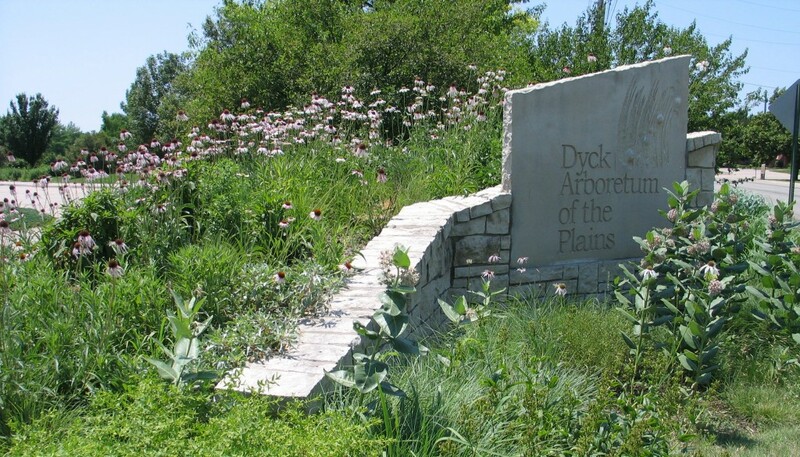 The 12-acre prairie reconstruction at Dyck Arboretum of the Plains known as the Prairie Window Project is reaching a noticeably new stage of maturity in its sixth year of growth. Deep root systems have developed to support a matrix of full-size grasses, a variety of colorful wildflowers, and a bounty of seed heads. For the first time, it looks like and gives the feel of being a REAL prairie. I can’t help but reflect on its numerous developmental similarities to those of my 14-year old son, Henry. Each involved preparation and planning, was nurtured with grand hopes and dreams, and required a significant investment of time and economic resources to shepherd them to their current state of maturation. 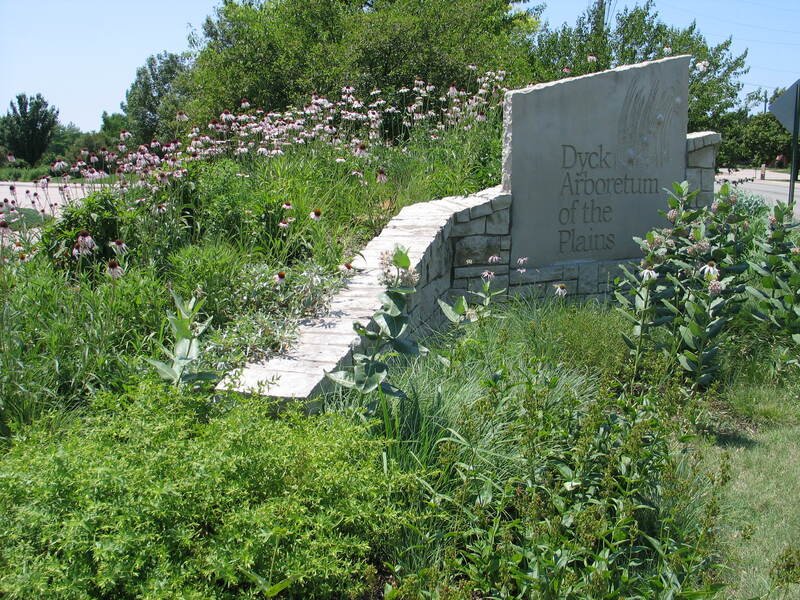 Just as many lessons of my childhood and a rich array of ancestral influences have contributed to Henry’s development, the arboretum’s tallgrass youngster was conceived only after years of studying and modeling the local prairies of South Central Kansas and collecting seeds from over 170 plant species. I even poignantly recognize that many of our Marion County prairie remnant seed sources near Lehigh laden with bluestem, blazing star, blue salvia, and goldenrod were the same prairies where my Grandpa Henry decades ago introduced me to prairie wonders such as rolling vistas of the Flint Hills, scissor-tailed flycatchers, and ruts of the Santa Fe Trail. It gives me great comfort to know that the remains of dozens of my ancestors in Marion County cemeteries, and maybe even mine someday, will be cycled through the 10-foot deep root systems of big bluestem, switchgrass and Indian grass many times over in the coming millennia. Henry and the Prairie Window Project have each benefited greatly from the work and support of many others along with some fortunate helpings of luck. They are beneficiaries of the nutrient-rich soils of Kansas, and both have surpassed me in height this fall. They have plenty of room to grow in complexity, mature and diversify, and I am coming to terms with the fact that most of my influence to shape these two beings has already been given. I marvel at what they have become in their young lives, and with great anticipation I will be watching what new developments are to come. For more information on prairie restoration and native plants, please explore our website. Lately, I have been watching old Western films. John Wayne always looks so calm and collected. He never sweats, even though he is wearing five layers of clothing. Have you ever wondered why they wear so much when it is so hot? Right now, I wish I had a sprinkler to run through or a bucket of ice water to dump on myself. Those movie characters who ride through the desert unscathed remind me of some tough plants blooming right now in the arboretum. 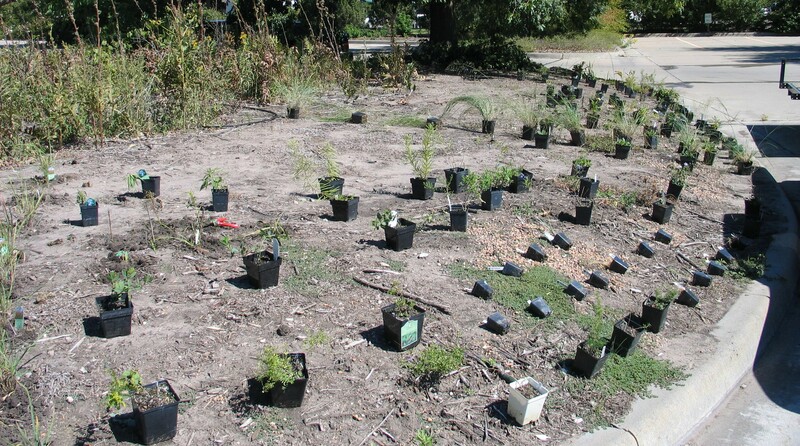 It is a true testament to the toughness of some perennials that thrive in adverse conditions. While walking through the gardens this morning, I noticed the vibrant purple blooms of this iron-clad wildflower. We should be tooting the horn for more natives like these. The plants were alive with activity-like a pollinator magnet! Each stem has slender leaves radiating outward, similar to Amsonia hubrichtii. 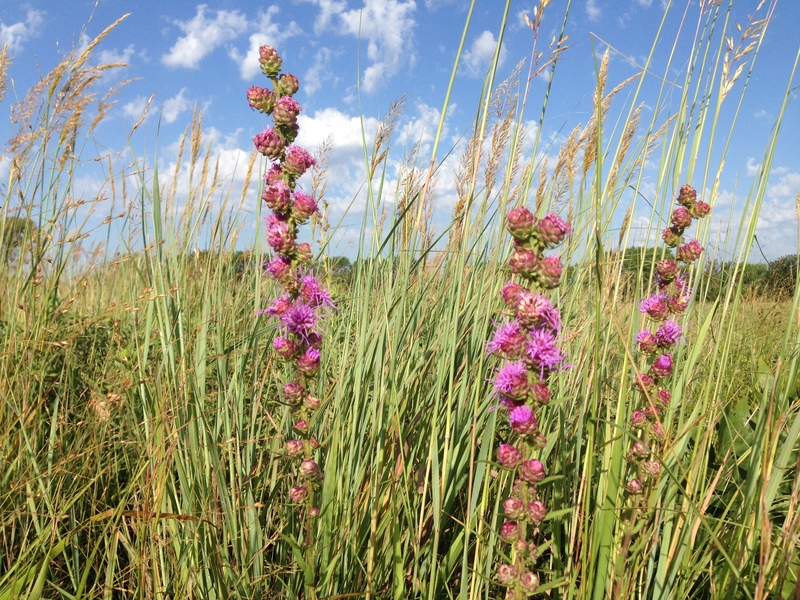 This is a more refined ironweed, but just as tenacious as the pasture type. I use them in groupings with switch grass and goldenrods but they would be a nice addition to any landscape. 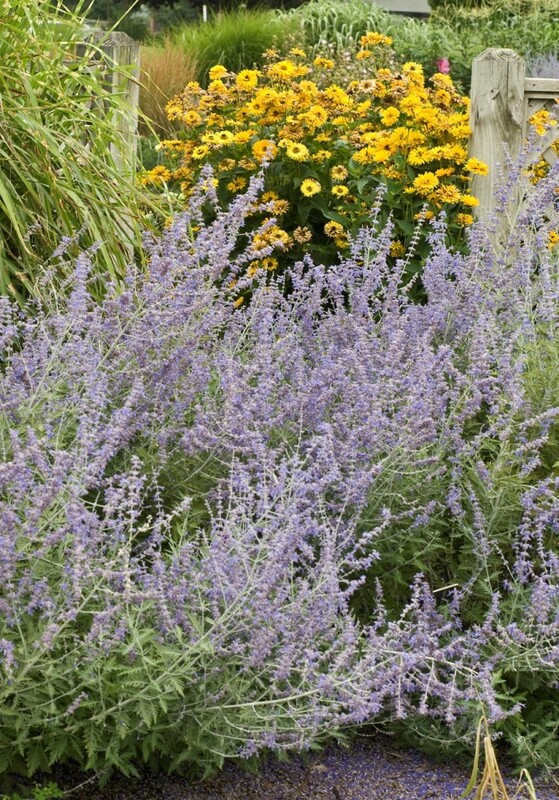 On my recent trip to Denver, Russian Sage was ubiquitous. That’s a fancy word for everywhere. It was in the street medians, parks, store fronts, and in front of most homes, but for good reason. The soft lavender blooms are eye-catching. The cloud of colorful flowers above the finely textured aromatic foliage is a wonderful combination. Did I mention that Russian Sage is tough? It shines in any full to part sun location. It can survive drought conditions, but appreciates weekly watering. 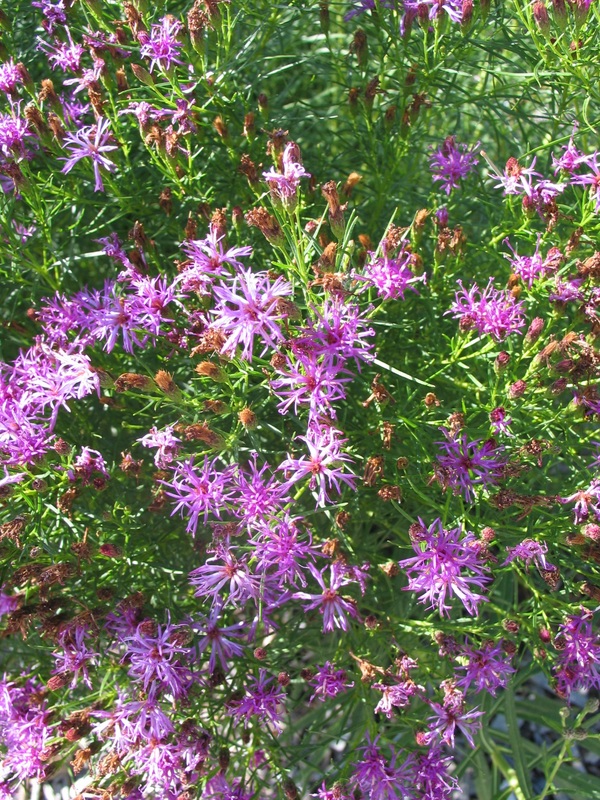 They are best displayed in mass plantings or with native grasses. 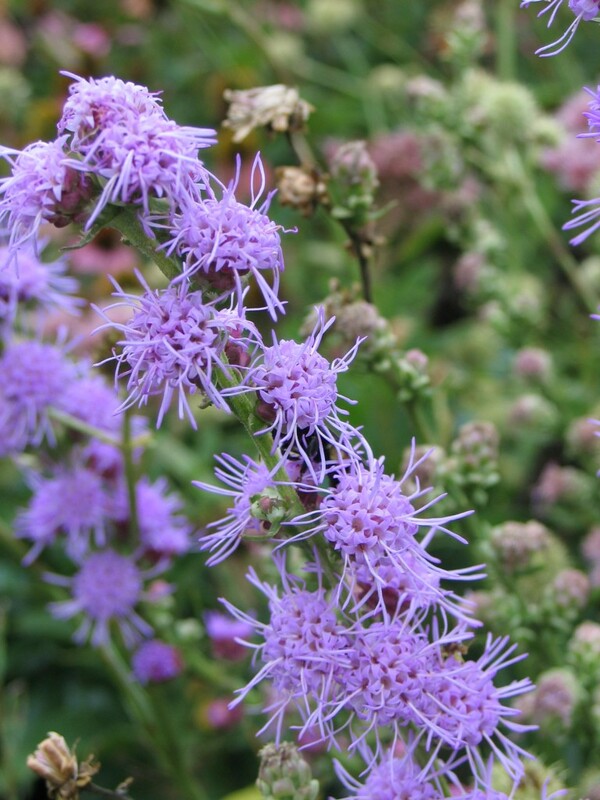 Blazing stars have put on quite a show this year and button blazing star is no exception. It is in full bloom right now in 100 degree heat and loving it. 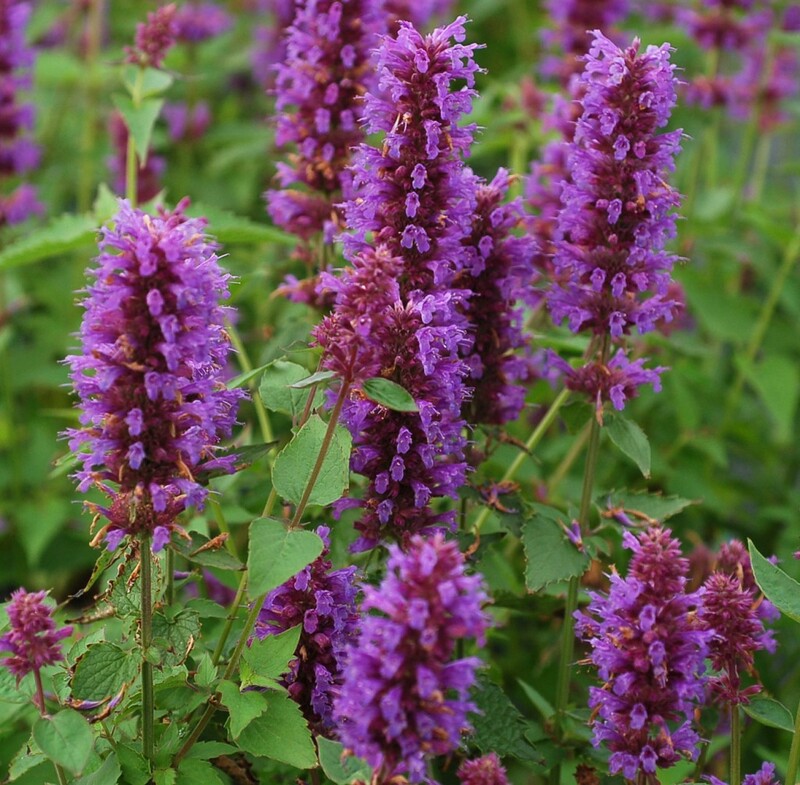 The entire plant matures to 3′ in height, but the real show is the purple button flowers that develop along the stem. It is happiest in medium to dry soil conditions and will become unhappy with too much moisture. Pollinators flock to it, including butterflies, hummingbirds, and bees. Plant them in mass, 8-12 inches apart for the ultimate display. I like to integrate several grasses like Little Bluestem or switch grass to give interest later in the season. This plant has been one of my biggest surprises over the last several years. It is almost always in bloom. It loves the heat and humidity. The deep violet-blue blooms lure many different pollinators and ‘Blue boa’ requires very little care once established in a medium to dry location. If you want to help the pollinators, try a few in your landscape. You will be surprised by them, too. 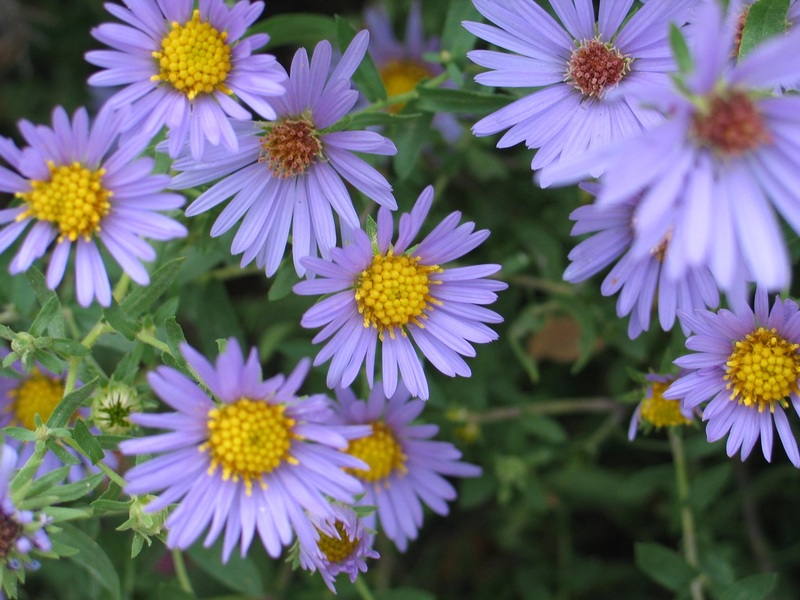 We have been growing this great form of our native aromatic aster for several years. It is not rambunctious in the landscape. In fact, it develops into a nice bush that is covered with glowing lavender flowers. When the whole plant is in bloom it looks like a mum on steroids. Flowers begin to open in late September and last into October. During the warm days of autumn, pollinators congregate on these beauties, seeking to collect the last pollen of the season. We have used them in borders and native groupings with ornamental grasses. Notice the theme? They all have lavender blooms. These are a few plants that are doing well in the arboretum. What plants have you had success with this year?